Why is enart 911 better than scenar cosmodic head to head? What is head to head? The Cosmodic is outdated technology that was marketed with a lot of hype. Your choice, now you know,? but why go with the very old technology. The 911 is a the ultimate. Or, get a DENAS for 1/10 the cost and still get 80% of the effect. Test it. See how it works. What is the best biofeedback device ever? In this article I’d like to answer the questions often asked by many people who are interested in purchasing the electropulse biofeedback device. Indeed, with no experience of using these devices, it is very hard to decide which of them one would prefer. I have been engaged in electropulse therapy over 12 years and I have the devices from different manufacturers (DENAS, RITHM, INVET, LET MEDICAL). My colleagues have models of LET MEDICAL – Cosmodic EX 735 and VX 735. I used LET MEDICAL’s device Scenar Cosmodic PS705 before INVET’s devices – ENART 907 and ENART 911. 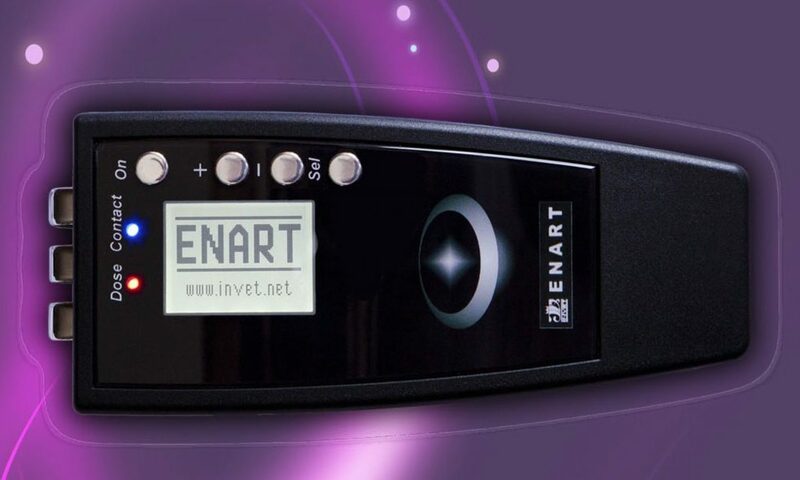 1) ENART devices have more possibilities for achieving the results in the shortest time period. For instance, Scenar-Cosmodic PS 705 has only one mode and its price is USD1400. ENART 907-L1 also has this mode PLUS 7 more modes at the same price. In other words, the whole PS705 is only one mode of the ENART 907 or 911. Besides, PS705 has rather low power. When I use it, many patients just don’t feel its pulse. ENART 900 series have the function of manual amplitude adjustment, i.e. the device can be altered in accordance with the patient’s sensitivity. This is critical, especially when I have patients with acute pain or reduced sensitivity related to various nervous system diseases. 2) Let’s take Scenar Cosmodic EX 735 Modific. It has 3 modes: CS, SC and SM. The cost is about 5800. All these modes are available on the ENARTs and there are 5 more modes in the Semi-professional ENART 907-L1 and 13 more in advanced Professional ENART 907-L2 costing USD$1990. It’s simple arithmetic. 3) Now we will compare their capabilities as to searching of the priority treatment zones. In Cosmodic devices THE USER ARE TO COMPARE the values of the responses HIMSELF, and then decides which area is suitable best for treatment. The zones can be found only by means of the consecutive applications of the device to the studied areas, i.e. one cannot move the device around on the skin. Zones treatment is carried out just holding the device stationary, without movement. Using ENARTs is much easier. They display the characteristics of the treated area (in the models having LCD) as well as give an audible alarm which indicates what zone is of the first priority to treat. 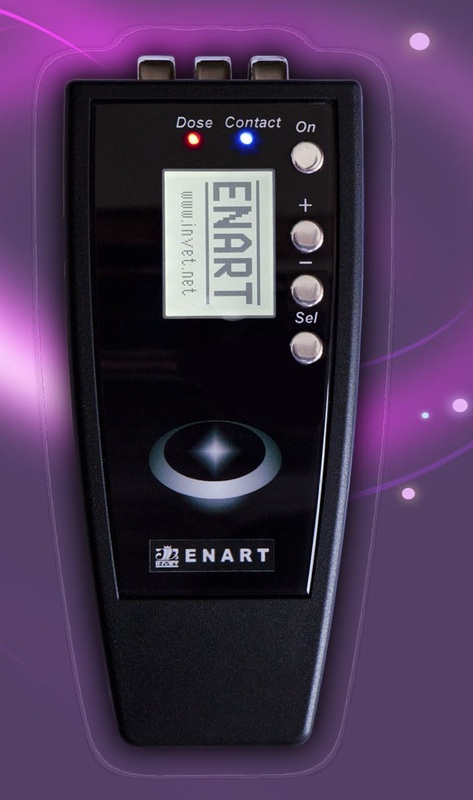 I.e., the ENART DEVICE COMPARES ZONES BY ITSELF and indicates to you the zones to choose for treatment! Moreover, this ENARTs’ feature is very convenient for self-treatment, in those areas which are not seen (back, low back etc.) Treatment zones can be easily found and you do not even need to see the device, simply hear its signals. Besides, ENARTs can do this both in successive electrode application from one area to another, and in device movement. The user draws the device over the body surface and when he/she reaches a pathology zone, a triple audible signal is heard. It goes without saying how much session time can be saved! 4) Quality of construction by both firms is good. Warranty period is: in LET MEDICAL – 1 year, INVET – 1,5 year. However post-sale maintenance is much better with INVET. The staff at this firm are ready to response immediately and solve your problem irrespective of the length of period from the date of purchase. Besides, they get in touch with their clients once new functions appear in their range of devices and offer to upgrade your device. I had my device upgraded. I just sent it via postal carrier and I got it back in a week. LET MEDICAL has no such service. Especially, if you are a foreigner, it causes more inconveniences. Recently, I have been training a Spanish doctor and he encountered this problem. His colleague bought EX 735 Modific and pressed something incorrectly. Now the device can’t be turned on. The device asked for some code. And this was regardless of the fact that these devices are rather expensive. 5) I’d like to say a few words about the efficiency of the devices by these manufacturers. Certainly, CoSMODIC devices are also effective, but not to the extent as the advertisement of manufacturer’s states. In my opinion, their prices are unfairly risen too high. I want to warn those who read about miraculous properties of Cosmodic devices at LET MEDICAL’s website. You will pay large sums of money hoping that the device will manage your problems in a short time period. Believe me, this won’t happen. To get positive effects, you will need some patience and continuous training. One of my colleagues, whose had patients were all over the world and who made it on his own and patented his treatment method with electropulse devices, sold his EX 735 Modific after using it for 1 year, because of its inefficiency. 6) Having read the testimonies about the recent modification – sliding effect – at LET MEDICAL’s website, I understood that it is not something outstanding, neither by recovery terms, nor by the device effectiveness. The sliding effect is implemented in super-modern ENART 911-L2 (EN and EM modes), in which apart from this, there are many other capabilities which are not available in Cosmodic series. And I mentioned the price difference above. I think, it is clear from what I’ve already said which devices I prefer. So, it is up to you to decide which of the two manufacturers you would prefer. Hopefully, my article was of use. I am a BIG fan of the ENART 911, after all that’s why I created this website so don’t get me wrong about what I am about to say. For professionals who are already familiar with the classical Russian training this is hands down THE tool to add to your SCENAR arsenal. There is none better, then the ENART 911, and frankly forget the COSMODIC BS that Dr Irena pushes. Enough of that $8000 crapola. For the novice wanna be professional you are going to be completely confused unless you get training and coaching. I have you covered with my 13 week online interactive course for beginners and seasoned professionals alike. Because I have cracked the “code” with all these micro current biofeedback devices that shatters the classical Russian training style and support that is purely designed for working on clients. With my training and coaching you really will know which settings to use and why. To achieve results in this now heavily polluted world that used to be a lot easier to obtain even 10 years ago, now takes a lot longer. To do this you need a deeper understanding of the effects of electricity than the frequency and waveform models currently used. That’s why I created the 13 week program so that you learn on yourself through daily self application exercises and thoroughly explore the fullest potential of this micro current technology. If you are looking for a device to work on your self don’t be fooled by all the settings, unless you want to admit that your big ego needs to look good with the world’s best SCENAR. Then go ahead, but your egos going to get right in the way of my training and training , so likely we wont have a good fit there because I have been around too long give you any slack in that department. It’s like driving a Lamborghini or a Ferrari, unless you are already a REALLY GOOD driver you cannot take full advantage of the functionality of the ENART 911. And 80% of the extra functionality will be lost on you because you don’t understand the basics of the miraculous effects of electricity, and the best way to understand that is to work on yourself and learn. The results are all delivered from application strategies that can change day to day, and the application models that you learn from the ENART DVDs are great but outdated in today’s polluted world. That’s why you need training, coaching and support after all don’t expect to resolve a chronic issue quickly, it takes a lifestyle change to break those old mental, emotional and physical habits. I’m trying to order the ENART 911 L2 but your buy now link does not work??? How else can I contact you for purchasing? Hey Dave, Sorry about the inconvenience. I sent you an email with my phone number. Give me a call. How to order ENART 911 L2 ? I see you have not confirmed your email. There are some very informative tips you might want to know about and links to a three part video series and the order details.